82 EL. Venizelou (former Grammou), Str. On Saturday 17 and Sunday 18 October, SETE Tourism crowdhackathon, a marathon for implementing applications for tourism using open data, was held at Innovathens. 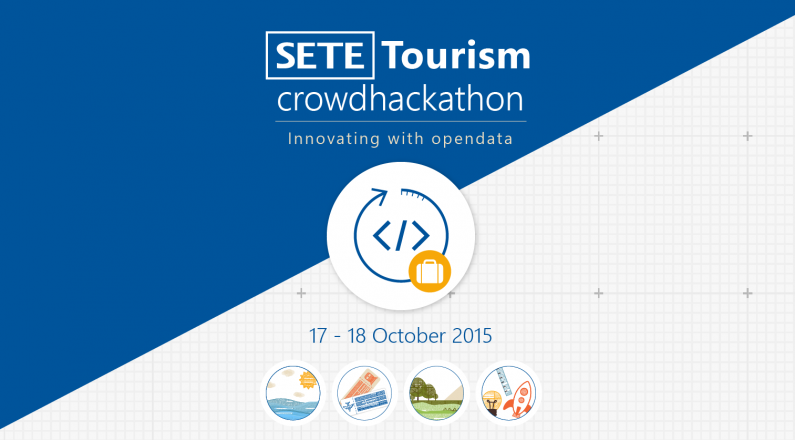 SETE Tourism crowdhackathon was organized by SETE and Crowdpolicy. You can see the themes, the competition, the prizes and all the preparatory material in detail on the website www.crowdhackathon.com/tourism. Along with the competition and because of the enormous interest, the opendata tech4all workshop on open data was held. SETE Tourism crowdhackathon participated in 24 different teams of developers, analysts, designers, communication and marketing specialists, students and professionals, developing innovative applications that contribute to the development of tourism in Greece. All participants, having less than 36 hours available, were invited to design and produce applications related to the tourism industry. In this effort, 35 mentors participated, who provided assistance and counseling support to all contestants in order to implement innovative functional applications.